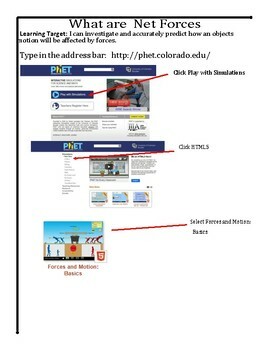 This is a no prep virtual lab based on the free Program named PhET from the University of Colorado Boulder. The lesson is set up as a 5E Plan and is student driven. 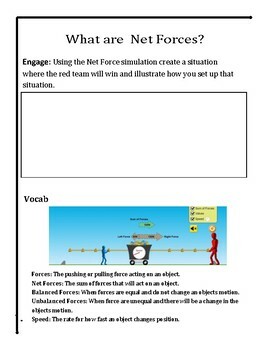 The focus of this lesson is on Forces and Motion. These lessons are designed to build upon students knowledge through inquiry. This is a teacher friendly resources that keeps students engaged. 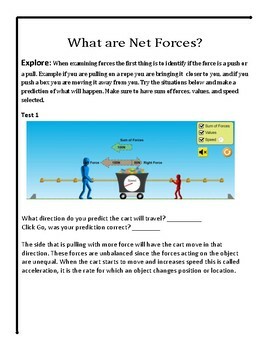 In this STEM lab students will use the Force and Motion PhET Lab to explore how forces affect an object's motion. 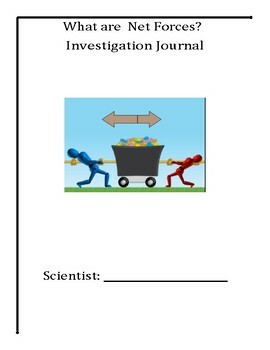 It has inquiry based questions asking students to rationalize.